There’s been no shortage of recent playoff history between the Bruins and Maple Leafs. Game 7 in 2013 brought us one of the greatest hockey moments of all-time. 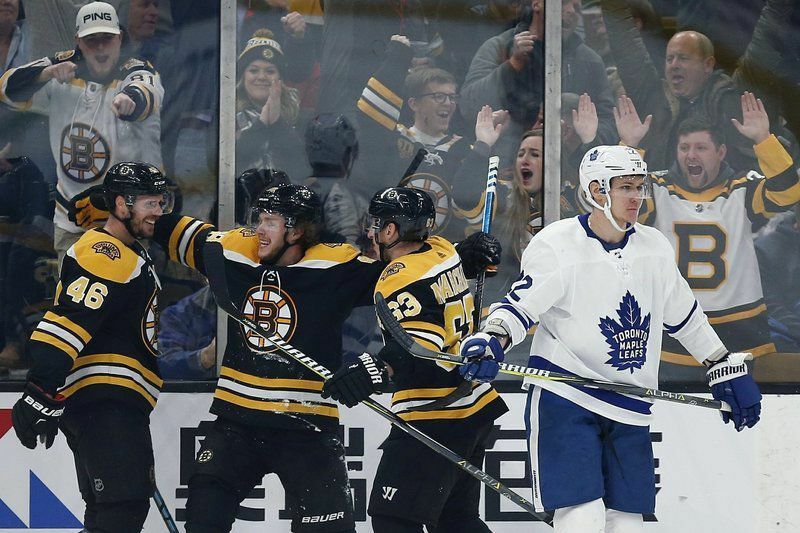 The B’s once again crushed Toronto’s spirits in last year’s Game 7 with four unanswered goals in the third period after trailing 4-3. If those two series’ are any indication then this will be one of the more competitive first-round match-ups in the league, but this time Boston will finish off the Leafs in six. Toronto has strong forwards but not enough on the back-end to stop Bergeron, Marchand, and Pastrnak. The addition of Jake Muzzin has made them better in that area, but they’re not ready to compete with one of the best lines in hockey. On the other hand, the Bruins are elite defensively. They’ll be faced with a tougher task than last year thanks to John Tavares, but come playoff time it’s hard to pick against the third best defensive team in the NHL according to goals against. The Bruins have the edge in coaching. Mike Babcock has a tendency to restrict his best players because they don’t fit his specific mold, something that Bruce Cassidy should be able to take advantage of. Most good teams these days have a two-goalie set. Jaroslav Halak and Tuukka Rask will likely split time, and both have been solid for the most part this season. For Toronto, Frederik Anderson will have his work cut out for him. All those factors plus home ice advantage should equal another Eastern Conference Semifinal appearance for the B’s. Game 1 starts at 7 pm.